Noting that a 2009 agreement between Guyana and Norway was a “trailblazer” in forest-climate partnerships, President David Granger on Wednesday signalled government’s anticipation of enhanced environmental cooperation with the European nation, as it continues to forge ahead with its ‘green’ state plan. 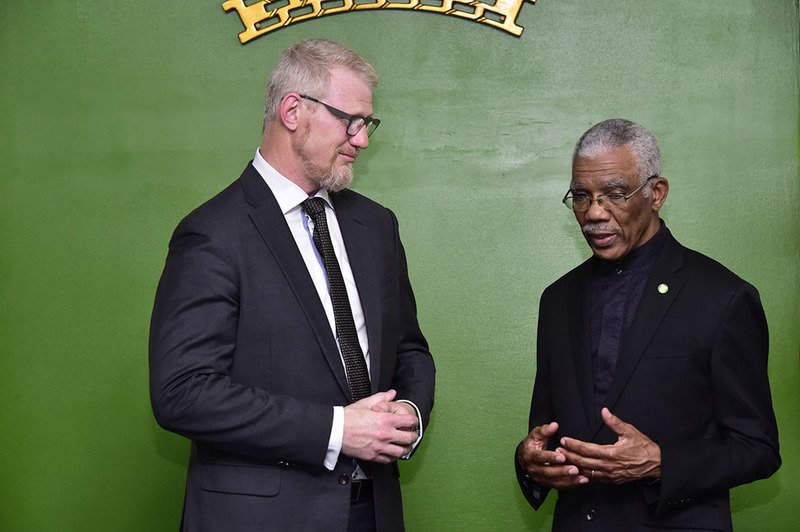 Granger made these comments after accepting the Letters of Credence from the new Norwegian Ambassador to Guyana, Nils Martin Gunneng, during a ceremony at State House. Gunneng was among five new Ambassadors and High Commissioners accredited at various times during Wednesday morning. In accepting the credentials, Granger, according to a statement from the Ministry of the Presidency (MoTP), said that the accreditation provides fresh evidence of the close relations between Guyana and Norway. He mentioned the Memorandum of Under-standing (MoU) between the Government of the Co-operative Republic of Guyana and the -Government of the Kingdom of Norway regarding cooperation on issues related to the Fight against Climate Change, the Protection of Biodiversity and the Enhancement of Sustain-able Development, which was signed on November 9, 2009 under the previous administration. “The partnership has helped to improve forest management, preserve rainforests and biodiversity and prepare for greater renewable energy generation and use. Guyana aims at becoming a ‘green’ state – one which will place emphasis on the protection of the environment, the preservation of biodiversity, the promotion of renewable energy and the adoption of practical measures to ensure climate adaptation. Guyana looks forward to enhanced environmental cooperation with Norway based on the principle of sovereign equality of states, as it progresses along a low-emission pathway to development. We welcome Norway’s offer to contribute to the development of Guyana’s renewable energy mix,” the Head of State was quoted as saying. The President’s reference to sovereign equality may have something to do with the differences that emerged between the two countries in recent years over the manner of use of money that Guyana had earned under the agreement. According to the press release, the Ambassador said that Norway is proud of the climate change and forest partnership between the two countries and admires Guyana’s persistence in pursuing a ‘green’ economy in an effort to protect its national patrimony and biodiversity. “Within the framework of our cooperation, we would like to continue our cooperation with regard to (the) energy mix in Guyana,” he said. The president also accepted Letters of Credence from Patricio Becker Marshall, Ambassador of the Republic of Chile; Jacob Rijkert Frederiks, Non-Resident Ambassador of the Kingdom of The Netherlands; Dr. Emmanuel John Nchimbi, High Commissioner of the United Republic of Tanzania and Alhaji Hassan Jika Ardo, High Commissioner of the Federal Republic of Nigeria. Marshall was the first diplomat to engage the president. 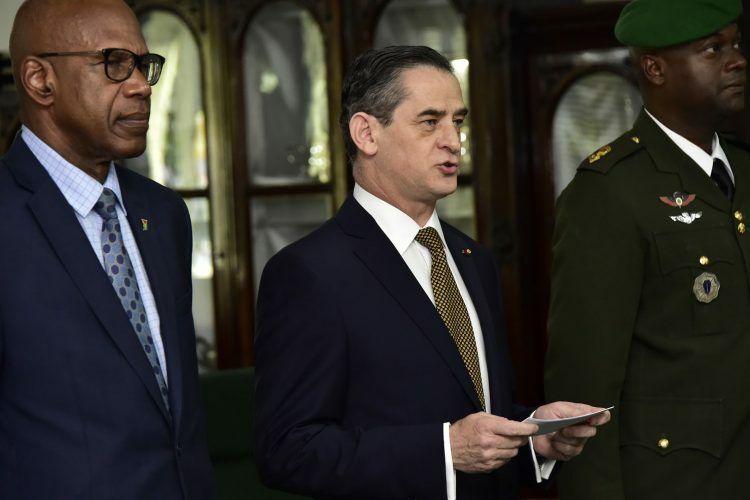 The release said that Granger, in accepting the document, pointed out that Guyana and Chile have enjoyed excellent relations since the establishment of diplomatic ties on July 22, 1971. He noted that Guyana expresses its appreciation for Chile’s support for strengthening its geochemical and geological mapping capacities, diplomatic training and language development. Chile’s commitment to assist in the field of disaster management is welcome in the context of the threat posed by climate change. The relations between Guyana and Chile, he said, have been strengthened by high-level exchanges. “I was honoured, personally, to pay a State visit to Chile in October 2016, when I had the opportunity to address students at the “Andres Bello” Diplomatic Academy of Chile. Other engagements and exchanges between our Heads of State occurred at the 19th Summit of the Rio Group Summit in Georgetown, March 2007; 23rd Intersessional Meeting of the Conference of Heads of Government of the Carib-bean Community, in Paramaribo, Republic of Suriname in March 2012; the First Summit of the Community of Latin American and Caribbean States (CELAC) in Santiago, Chile, in January 2013; 37th Regular Meeting of the Conference of Heads of Government of the Carib-bean Community held in Georgetown, Guyana in July 2016; and the 39th Regular Meeting of the Conference of Heads of Government of the Carib-bean Community held in Montego Bay, Jamaica in July 2018,” President Granger was quoted in the release as saying. Marshall, in his remarks, said that while much success has been achieved between the two countries over the last three years, he looks forward to further strengthening the areas of cooperation. 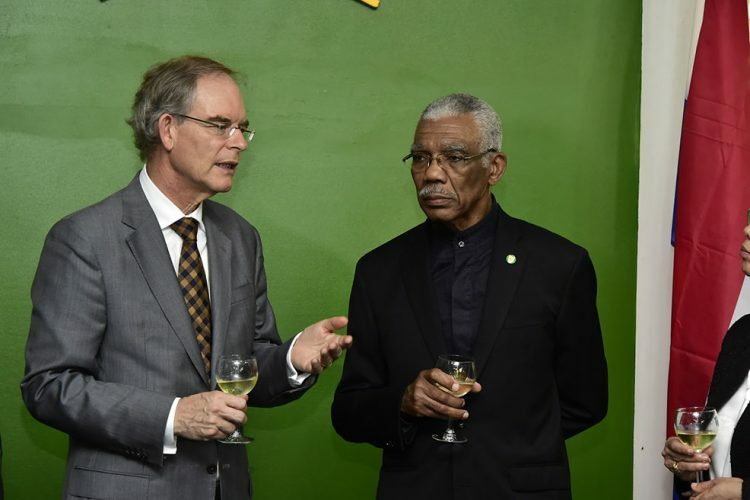 At the presentation of the Letters of Credence of the new Ambassador of the Kingdom of the Nether-lands, Granger said that Guyana attaches great importance to the development of strong and cordial ties with the Netherlands, with which it established diplomatic relations on May 15, 1970. He noted that Guyana is appreciative of the technical assistance provided by the Government of The Netherlands, in the fields of civil engineering, flood-risk management and hydraulics. “Guyana, a low-lying, coastal state, is conscious of the peril of rising sea levels and extreme weather as a consequence of global warming. We look forward to continued cooperation with The Netherlands, in promoting climate adaptation and in the development of climate-resilient infrastructure, particularly during your tenure as Ambassador,” he said. Frederiks, in his remarks, said that the Netherlands is pleased to count Guyana as a friend and partner even as he noted that his country is grateful for Guyana’s vote for its successful bid on the United Nations Security Council. He said that the Netherlands would be pleased to offer its assistance in the areas of climate change mitigation and the oil and gas industry. “The challenges of your country and mine are not identical, but there are areas in which we can collaborate and share ideas. After all, both of our countries require coastal defence to protect our settlements, valued agricultural lands and other assets… Our experience could be valuable,” the new non-resident Ambassador said. 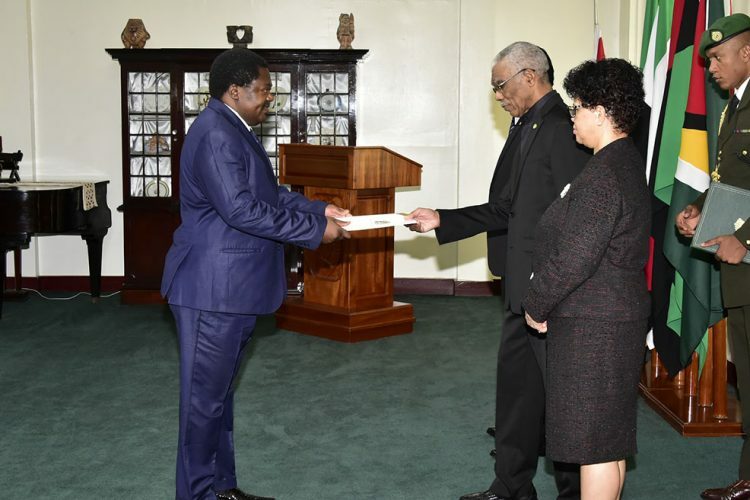 Subsequently, during his engagement with the newly appointed High Commissioner Nchimbi of Tanzania, the president said that Guyana was in the forefront of efforts in support of the frontline states in the Southern African Liberation Struggles. He noted that collaboration and exchanges between the two States extended to the African, Caribbean and Pacific Group of States, the Commonwealth, the Non-Aligned Movement and the United Nations. Guyana, the President said, can learn from Tanzania’s experience in ecotourism, in managing its conservation parks and in protecting its biodiversity. “Guyana is moving towards the establishment of a ‘green’ state – one that will place emphasis on the protection of our environment, the preservation of our biodiversity, the provision of eco-tourism and eco-educational services and the promotion of renewable energy and practical measures to ensure climate adaptation. Green development cooperation can form a basis for strengthening bilateral relations. Your appointment can help to advance the long-term strategic partnership between our two States,” the Head of State said. Dr. Nchimbi noted that Tanzania looks forward to establishing and fortifying collaboration in the areas of sugar, fishing, oil and gas, gold and diamond mining and infrastructural development. 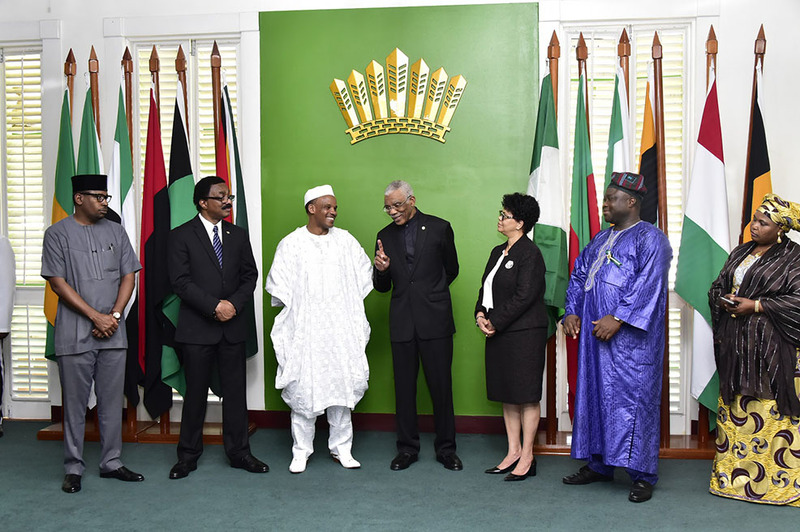 According to the press release, Granger, in accrediting Ardo, the High Commissioner of Nigeria to Guyana, said that the two countries have deepened and strengthened its friendship through participation in the African, Caribbean and Pacific Group of States, the Commonwealth and the United Nations. “Our engagements within these organisations allow us to seek common approaches to address global challenges such as climate change and terrorism. I had the opportunity to meet President Buhari on the sidelines of the 71st Session of the General Assembly of the United Nations in September, 2016. We discussed cooperation in the fields of culture, petroleum development, security and trade. Your appointment can help to ensure that those discussions are concretized through practical initiatives for our countries’ mutual benefit. 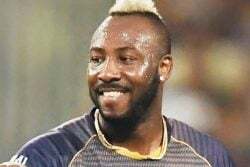 The prospect for fruitful exchanges between Guyana and Nigeria is promising,” the President said.